In recent years, global navigation satellite systems (GNSSs) have been widely used in intelligent transport systems (ITSs), and many countries have been rapidly improving the infrastructure of their satellite positioning systems. However, there is a serious problem involving the use of kinematic GNSS positioning in urban environments, which stems from significant positioning errors introduced by non-line-of-sight (NLOS) satellites blocked by obstacles. Therefore, we propose the method for positioning based on NLOS satellites detection using a fish-eye camera. In general, it is difficult to robustly extract an obstacle region from the fish-eye image because the image is affected by cloud cover, illumination conditions, and weather conditions. We extract the obstacle region from the image by tracking image feature points in sequential images. Because the obstacle region on the image moves larger than the sky region, the obstacle region can be determined by performing image segmentation and by using feature point tracking techniques. Finally, NLOS satellites can be identified using the obstacle region on the image. The evaluation results confirm the GNSS positioning accuracy without the NLOS satellites was improved compared with using all observed satellites, and confirm the effectiveness of the proposed technique and the feasibility of implementing its highly accurate positioning capabilities in urban environments. 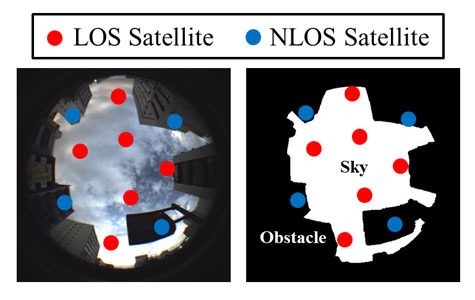 S. Kato, M. Kitamura, T. Suzuki, and Y. Amano, “NLOS Satellite Detection Using a Fish-Eye Camera for Improving GNSS Positioning Accuracy in Urban Area,” J. Robot. Mechatron., Vol.28, No.1, pp. 31-39, 2016. E. Abbott and D. Powell, “Land-vehicle navigation using GPS,” Proc. of the IEEE, Vol.87, Issue 1, pp. 145-162, 1999. S. Thrun et al, “Stanley: The robot that won the DARPA Grand Challenge,” J. of Field Robotics, Vol.23, Issue 9, pp. 661-692, 2006. L. Wanga, P. D. Groves, and M. K. Ziebart, “Multi-Constellation GNSS Performance Evaluation for Urban Canyons Using Large Virtual Reality City Models,” J. of Navigation, Vol.65, Issue 03, pp. 459-476, 2012. E. Schöonemann, M. Becker, and T. Springer, “A new Approach for GNSS Analysis in a Multi-GNSS and Multi-Signal Environment,” J. of Geodetic Science, Vol.1, Issue 3, pp. 204-214, 2011. M. S. Braasch, “GPS Multipath Model Validation,” Position Location and Navigation Symposium, IEEE 1996, pp. 672-678, 1996. P. D. Groves et. al, “A Portfolio Approach to NLOS and Multipath Mitigation in Dense Urban Areas,” Proc. of ION GNSS 2013, pp. 3231-3247, 2013. Y. Lee, Y. Suh, and R. Shibasaki, “A Simulation System for GNSS Multipath Mitigation Using Spatial Statistical Methods,” Computers & Geosciences, Vol.34, No.11, pp. 1597-1609, 2008. P. D. Groves, “Shadow Matching: A New GNSS Positioning Technique for Urban Canyons,” J. of Navigation, Vol.64, No.3, 2011. D. Maier et. al, “Improved GPS Sensor Model for Mobile Robots in Urban Terrain,” Proc. of the IEEE Int. Conf. on Robotics and Automation, pp. 4385-4390, 2010. T. Suzuki and N. Kubo, “GNSS Positioning with Multipath Simulation using 3D Surface Model in Urban Canyon,” ION GNSS 2012, pp. 438-447, 2012. J. Meguro et al., “GPS Multipath Mitigation for Urban Area Using Omnidirectional Infrared Camera,” IEEE Trans. on Intelligent Transportation Systems, Vol.10, No.1, pp. 22-30, 2009. T. Suzuki et. al, “Multipath Mitigation Using Omnidirectional Infrared Camera for Tightly Coupled GPS/INS Integration in Urban Environment,” ION GNSS 2011, pp. 2914-2922, 2011. 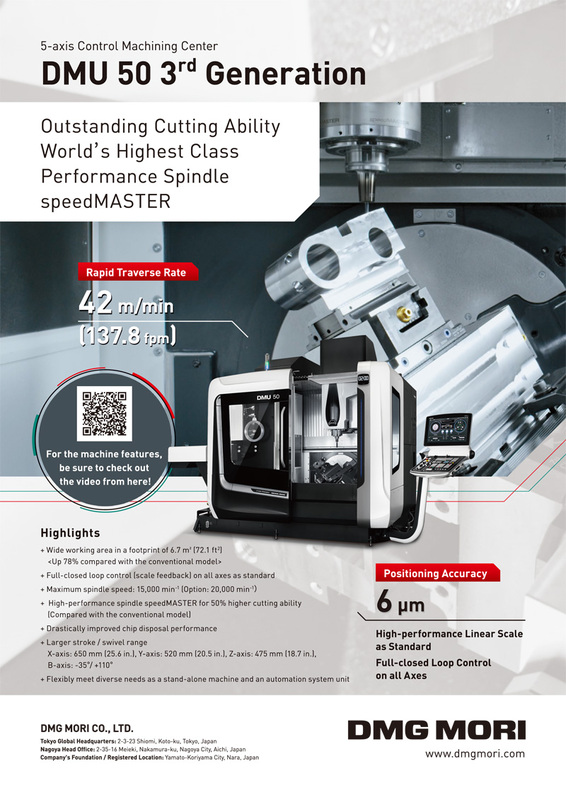 M. Kitamura et. al, “Improvement of GPS and GLONASS Positioning Accuracy by Multipath Mitigation Using Omnidirectional Infrared Camera,” J. of Robotics and Mechatronics, Vol.23, No.6, 2011. D. Scaramuzza et. al, “A Toolbox for Easy Calibrating Omnidirectional Cameras,” IEEE Int. Conf. on Intelligent Robots and Systems (IROS 2006), 2006. J. A. Hartigan and M. A. Wong, “Algorithm AS 136: A K-Means Clustering Algorithm,” J. of the Royal Statistical Society, Series C, Vol.28, No.1, pp. 20-30, 1979. C. Chandhok, S. Chaturvedi, and A. A. Khurshid, “An Approach to Image Segmentation using K-means Clustering Algorithm,” Int. J. of Information Technology, Vol.1, Issue 1, pp. 11-17, 2012.
 International Color Consortium, “Specification ICC.1:2004-10 (Profile version 4.2.0.0) Image technology colour management – Architecture profile format and data structure,” 2004. B. Sirmacek and C. Unsalan, “Urban-Area and Building Detection Using SIFT Keypoints and Graph Theory,” IEEE Trans. on Geoscience and Remote Sensing, Vol.47, Issue 4, pp. 1156-1167, 2009. D. I. Barnea and H. F. Silverman, “A class of algorithms for fast digital image registration,” IEEE Trans. on Computers, Vol.C-21, No.2, pp. 179-186, 1972.